We pulled the 500 miles from Elkins to Campbellsville in three segments, each drive remarkable only for our dissatisfaction with campsites. Burnsville Lake in WV was muddy and muggy, with ancient showers and tight sites. 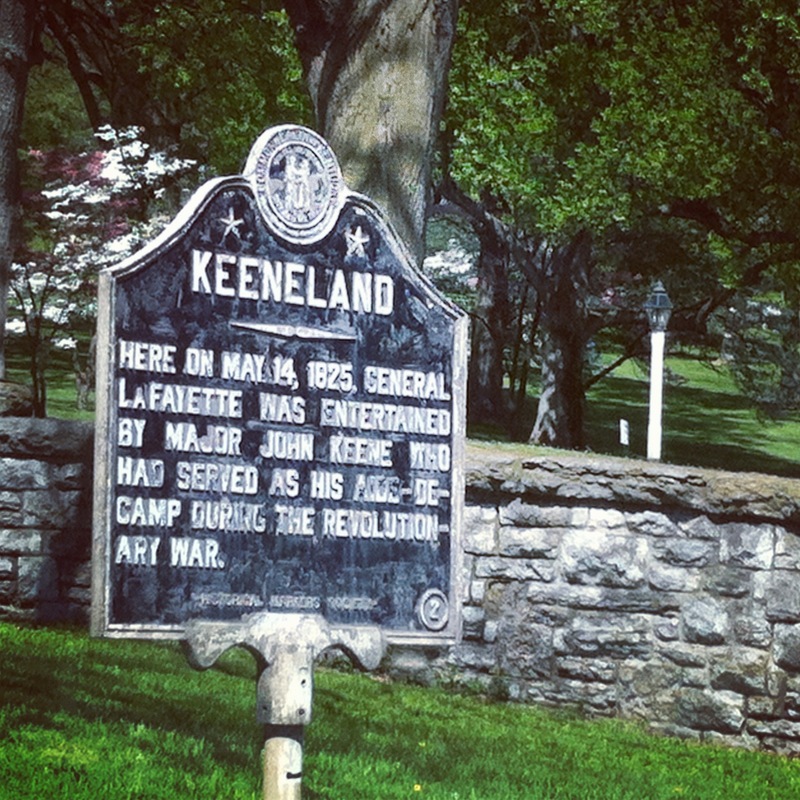 Then we were forced into one night at the KOA just inside Kentucky’s eastern border. It was newish, and adjacent to some beautiful country, but there’s no escaping KOA style and its densely populated, tree-free, rockpile architecture. But they were doing surprisingly good business even priced at $45 a night. Along the way the steep mountains of West Virginia gradually became the big rolling hills of Kentucky. The countryside around Lexington is superb pastureland, much of it as manicured as a suburban lawn, here and there dotted with horses, sheep, and barns. 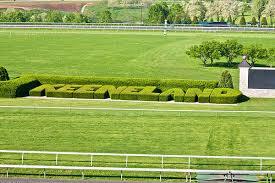 Our route took us by Keeneland, home of the 2015 Breeders Cup races. We’re not big fans of hoss racing, but the facilities are as magnificient as the big animals grazing and fun-running in adjacent pastures. This is the bluegrass country and we drove right through it on the way to Campbellsville. Slowly the pastureland gave way to fields of corn, soybeans, and burley tobacco. 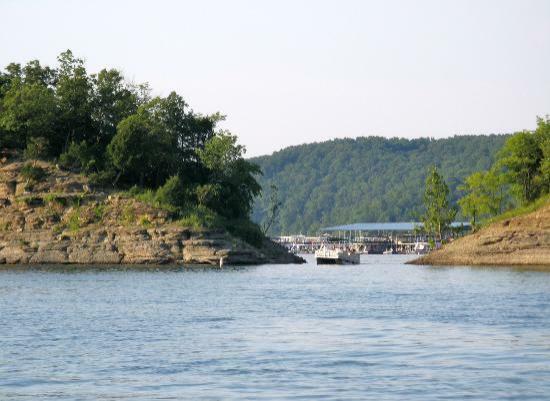 Our final campground before taking up residence in Campbellsville is a Corps of Engineers project on Green River Lake. There are three Corps campgrounds on this lake; we chose Holmes Bend whose sites are more spacious than those of Smith Ridge or Pikes Ridge. All three are heavily used on weekends, mostly by the locals, with Monday through Thursday blessedly quiet and almost private. We have caught up on sleep, and rediscovered our travel and leisure vibe. Tomorrow we will move into our autumn quarters and get back into the swing of life at Amazon. Kat’s looking forward to renewing work acquaintances, to getting fit walking fifty miles a week, and just enough structure to help us appreciate our travel season. I’m looking forward to being still for a while, to finding new creations in our little galley, and getting a haircut. Haircut? Not just anybody can cut my hair. At the C’ville barber college haircut quality ranges from pretty good to a class B misdemeanor. Still, the prices are so low a bad one doesn’t hurt. Much. I need to do some paintin’ and polishin’ on the Airstream. Right now it’s just too humid and hot, but September should bring several days of good painting weather. And I gotta find a better attitude about making beds. I don’t mind washing dishes or folding laundry. I enjoy grocery shopping and love to cook. Sweeping and rug-shaking are a long way from fun, but I can appreciate a clean floor. But making beds, oh my. That’s the one household chore I detest. Maybe if I make ‘em up first thing every morning I’d have less time to think about it. Yes, I’m gonna try that. wishing you lots of luck!… and a little bit of Tuck! Well, she spared my ear and for the most part buttoned her lip. But the next morning, I looked like a fat Butthead: had a pup tent on my head.